Padam Parajuli’s right hand was paralysed, but all attempts to treat it had failed. He had almost given up hope when his Christian uncle told him that the pastor at the Rofeka Church in Sindhupalchok district could cure him. The pastor asked the congregation to pray for Parajuli, and made him drink some ‘holy’ water. “It was a miracle: I was able to move my hand,” Parajuli recalls. Nepal was still a Hindu monarchy at the time and practising Christianity was not easy. Devotees were harassed by police, and even jailed for spreading the gospel. Parajuli began to visit the church in Lamosangu clandestinely, without telling his parents. The villagers soon found out, then abused and ostracised him. “I was not bothered about what others thought, but I was upset that my father was upset because he was also taunted,” he says. Three decades on, Parajuli is now the pastor of a protestant church in Bhainsepati. His whole family has converted to Christianity. Sindhupalchok, where there was only one church when he was baptised, now has more than 175 — half of them opened after Nepal became a secular republic in 2008. “The 200 years of monarchy was the dark age for Nepal’s Christians, now is the golden age despite all the recent attacks on us,” says pastor Kiran Kumar Das of Anugraha Church in Kusunti, Lalitpur. But there is a growing backlash against conversions from conservative groups unhappy with the secular Constitution. In 2009, a blast killed two people and injured 10 at the Roman Catholic Assumption Church in Lalitpur. Police arrested Sita Shrestha, who grew up singing Hindu hymns with her father, a priest at a temple in Kathmandu. In April this year the same church was set ablaze by an unidentified man. 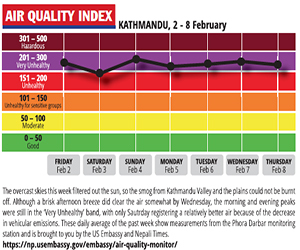 All of this pales in comparison to what Nepali Christians suffered during the monarchy. 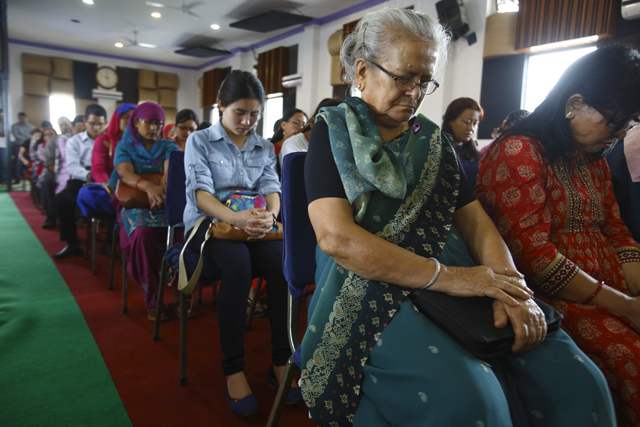 There was no recorded case of a church bombing, but there was the Hindu state-sponsored harassment of and discrimination against Nepali Christians. Despite this, Tri Ratna Adam Tuladhar, who converted to Christianity when he was a teenager in the early ’70s and is now pastor at the Cannan Prayer House, says secularism has given Christians a breathing space compared to the harassment and jail they faced during the Panchayat. The number of visitors to his prayer house is increasing, and Pastor Tuladhar is opening another church in Buddha Nagar. The Federation of National Christians Nepal (FNCN) estimates there are 12,000 churches in the country, and the number is increasing. The Koinonia Mission, which began with the construction of Patan Church in 1978, already has 90 churches and is aiming to build 400 more over the next three years under its Vision 2020 program. “We are so far concentrated in and around central Nepal, but we want to reach every corner of the country,” says pastor Mangal Manandhar, who leads the evangelical group. While catholic Christians are not active in conversion and expanding their community, protestant Christians, mostly belonging to evangelical and pentecostal denominations, are in full expansion mode. 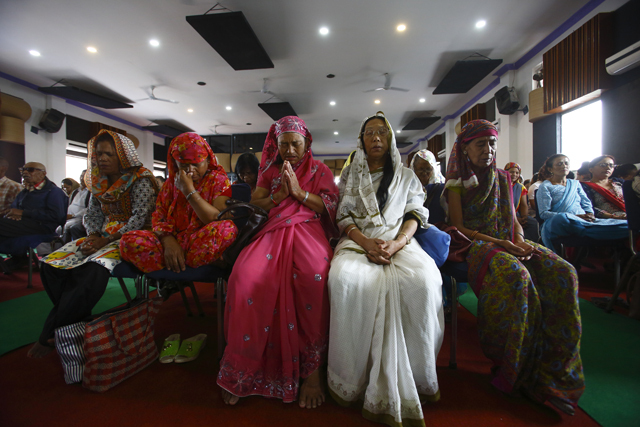 Although the Census 2011 showed less than 2% of Nepalis as Christians, the FNCN says the number now is closer to 10%. The Hindu, royalist political party RPP and other Hindu groups blame secularism for growing proselytization, and are demanding that Nepal revert to being a Hindu nation. Nepal was declared secular in 2007, but it is not yet secular in the real sense. Secularism requires the state to be either indifferent to all religions, or treat all religions equally. But the Nepali version of secularism, as defined by the Constitution, protects and promotes the Hindu religion and alienates other faiths. The Constitution recognises a primordial Hindu identity (Sanatan Dharma) and symbols like the cow. This was a compromise, but pro-Hindu politicians must be happy because the Constitution gives them more than they wanted. There has been a surge in conversion to Christianity after Nepal was declared secular a decade ago, but secularism is not to blame. The problems lie within the Hindu religion, which is exclusionary in nature and discriminates against Dalits and other social groups that suffer from an entrenched caste-based hierarchy. These groups are looking for ways to escape the shackles of this unjust hierarchy, which is why they are attracted to Christianity. They are also enticed by its false promises of salvation and a prosperous future: it is not surprising that most converts to Christianity are from Dalit and Janajati communities. The best way to stop proselytization is to introduce reforms into Hinduism. Otherwise another religion will attract Hindus excluded by their own religion. But the possibility of reforming Hinduism looks bleak because it is based on self-granted privileges of caste. If pro-Hindu politicians are worried about Christian conversions, they must push for genuine secularism. If Nepal becomes a secular nation in the real sense, it really does not matter which religion you follow. 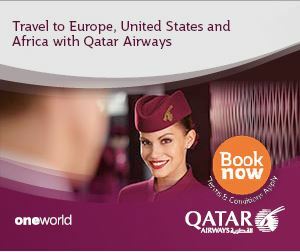 So the charm offensive of Christian missionaries will be less. Dambar Chemjong is an anthropologist. Though Christianity in Nepal dates back to the 1500s, various sects of the religion have been active during different periods. Christian missionaries were outlawed and often persecuted from 1810 to 1950, when the Rana dynasty collapsed. Conversion itself was technically illegal until 1990, but occurred on a wider scale after Nepal became a secular state in 2008. An independent Catholic mission was created in 1983, while Protestantism put down roots primarily through Nepalis returning from abroad during and after the Rana regime. Both are denominations of Christianity: Catholics hold the Roman Pope to be the head of the Church while Protestants are not subject to any papal authority and each church is led by its own pastors. Different groups exist within Protestantism, including Lutheranism, Methodism, Baptism, Evangelicalism and Pentecostalism: their beliefs differ slightly. 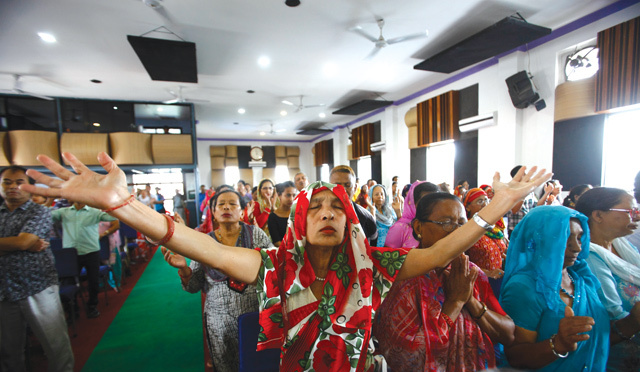 Most conversions in Nepal occur within Protestant groups, says Pastor Mangal Manandhar of the Koinonia Patan Church: "Independent churches, which can be described as evangelical churches, are more active in conversions than others," he told Nepali Times. 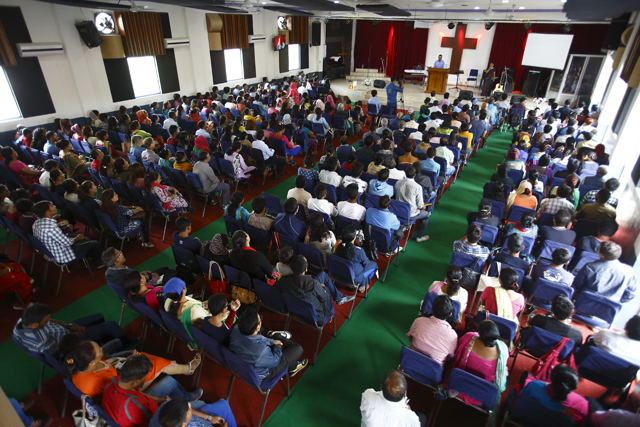 After Evangelicalism, which embraces the idea that salvation can be achieved through the word of God dictated in the Bible, Pentecostal churches are the next most active in conversions, Manandhar added. Another arm of Christianity in Nepal is Jehovah's Witnesses. This arm has its own interpretation and version of the Bible and differs distinctly from mainstream Christianity. Jehovah's Witnesses denominations include the Church of Christ, Church of God, Children of God and Born Again.